independence day, Heber-Overgaard, AZ – RV Cheaper! July 7, 2013 December 29, 2014 RV Cheaper! 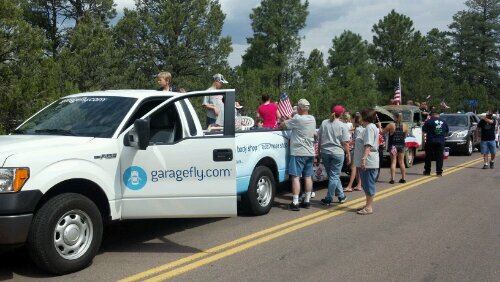 Heber-Overgaard AZ has an awesome parade on the weekend closest to July 4th. This year had about 80 floats and this year the family did it for the second time (my first). If you chose to go more than half way, you’ve ventured into the wet zone where the floats and spectators battle it out with super soakers or greater. Even the fire department gives spectators the ultimate soaking. I thought spectating was fun enough, walking the parade with 200 gallons of water on the trailer was awesome! There isn’t anything better than small town USA, I think you could work from there!